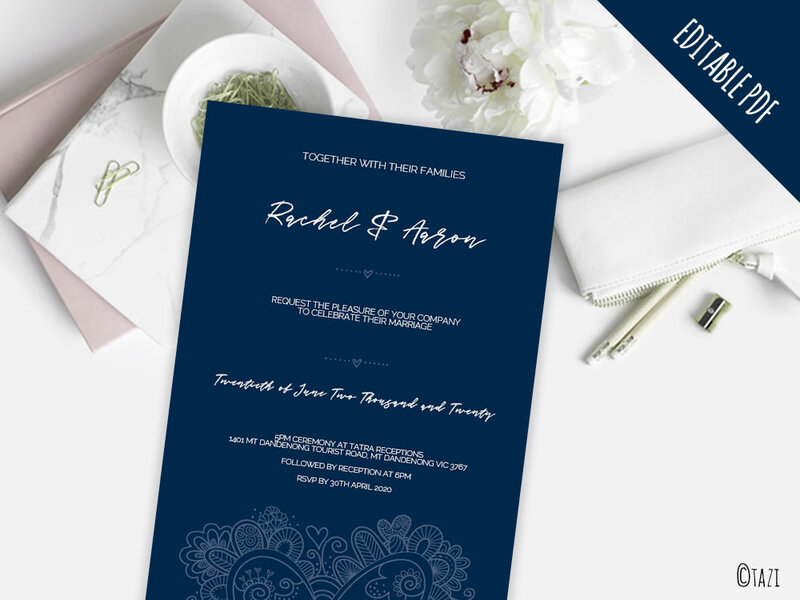 ❤ This modern navy blue DIY invitation with a doodle design is available to download, edit and print. 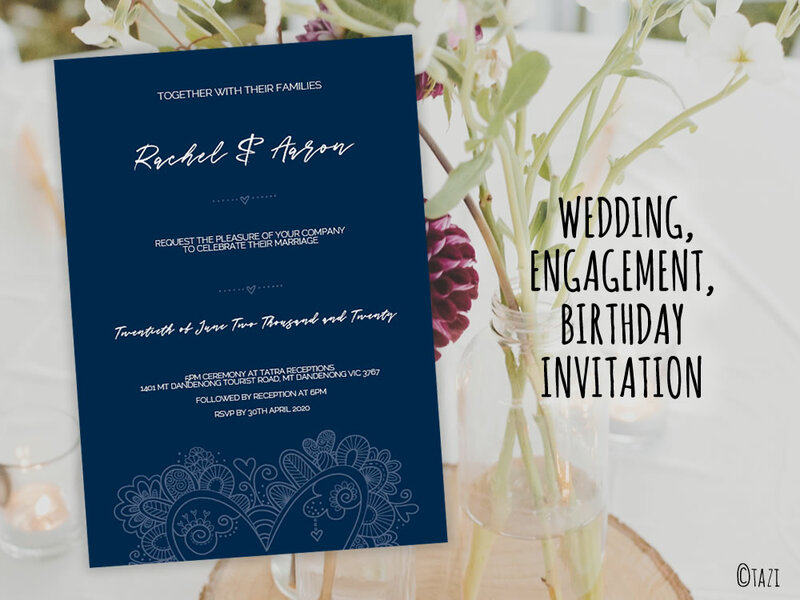 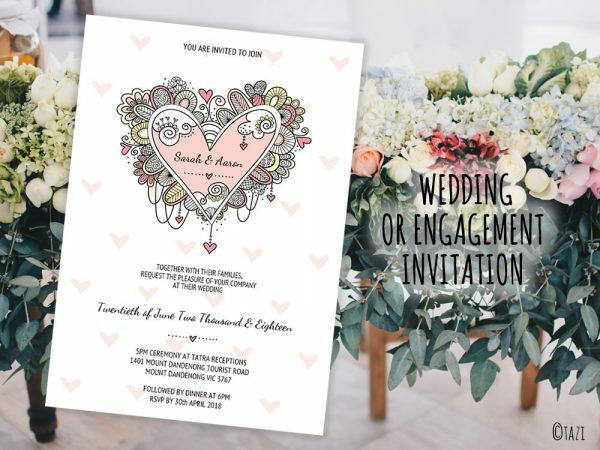 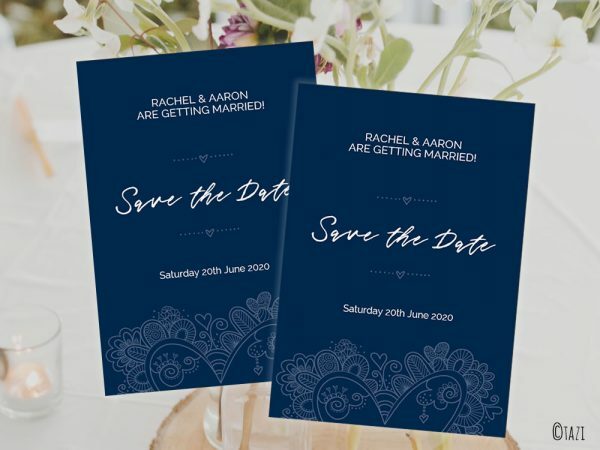 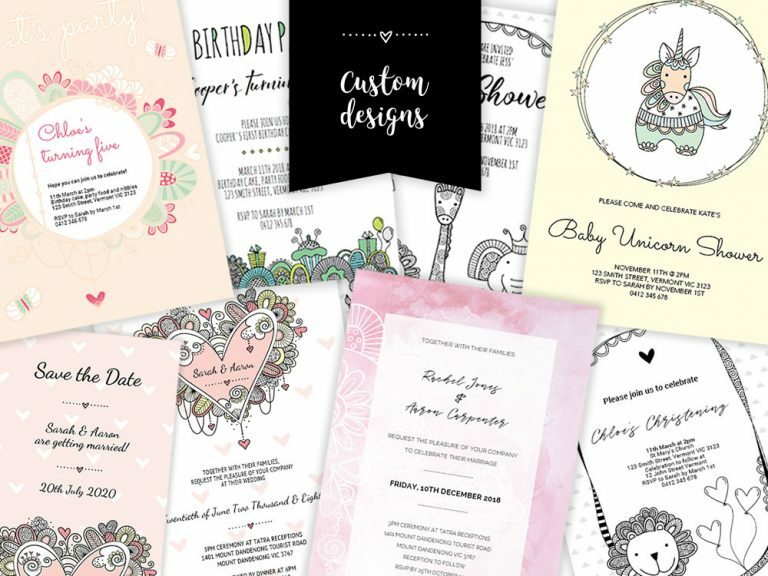 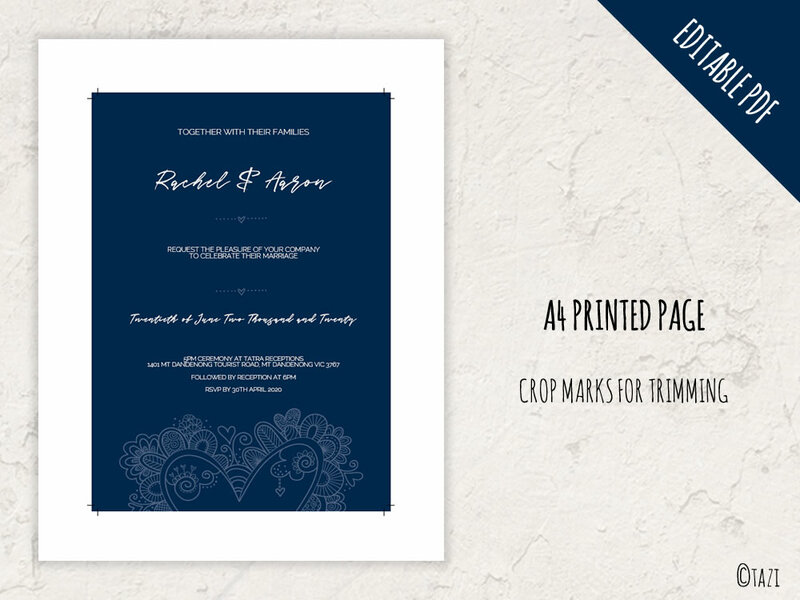 Suitable for wedding, engagement, elopement, anniversary or birthday invitation – just change the words to suit the occasion. 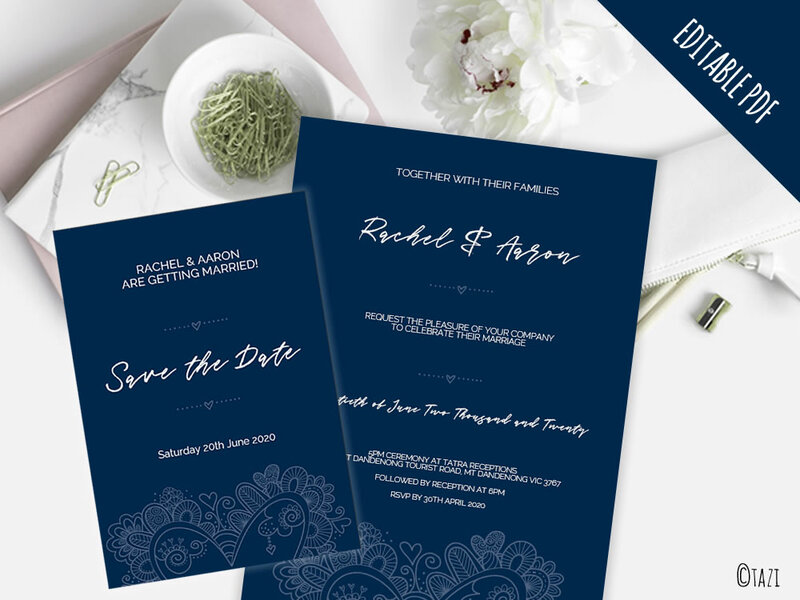 Matching save the date design also available. 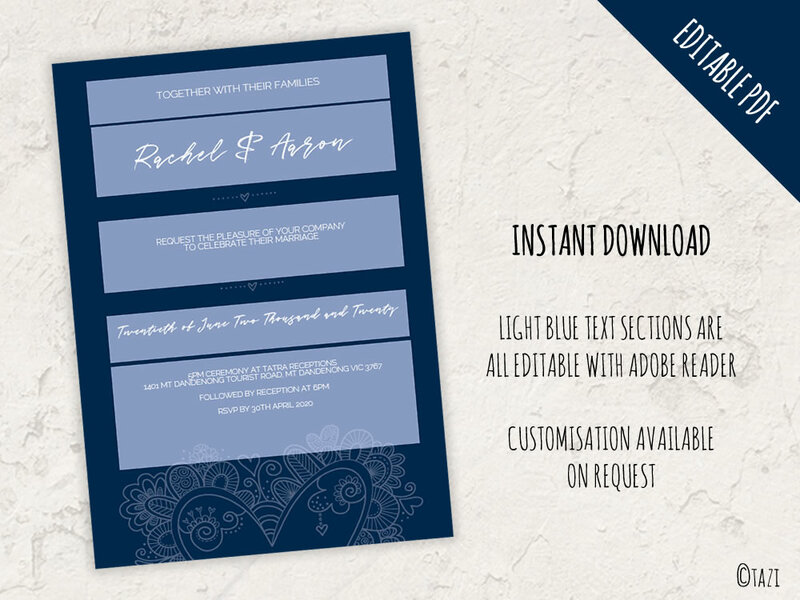 The blue text areas are editable with Acrobat Reader (free) and fonts are embedded. 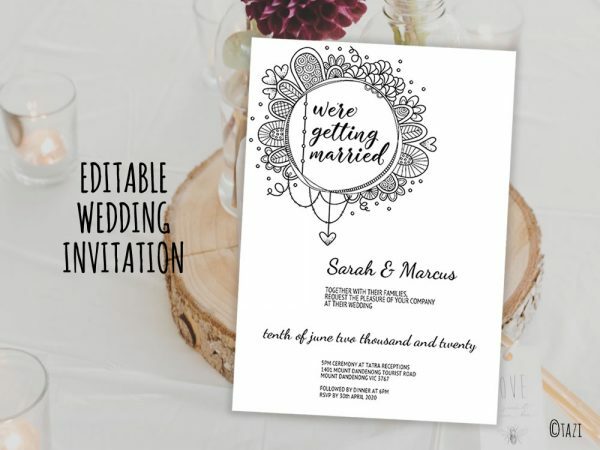 The file is a high quality full colour, 300dpi CMYK PDF file with editable text fields and copyright text removed. 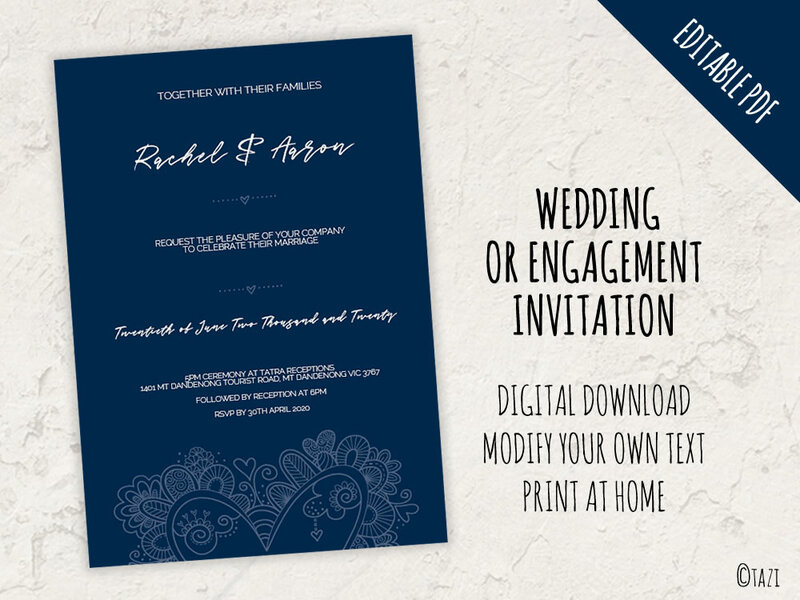 It is suitable to print out on your own printer on good quality white stock or you can take it to your local print shop (like Officeworks or Vista Print).